The Big Debate 2017 – you speak, we listen. Thank you to everyone who took the time to fill out The Big Debate 2017, telling us what you loved about this year’s festival, and what you think we can improve on. 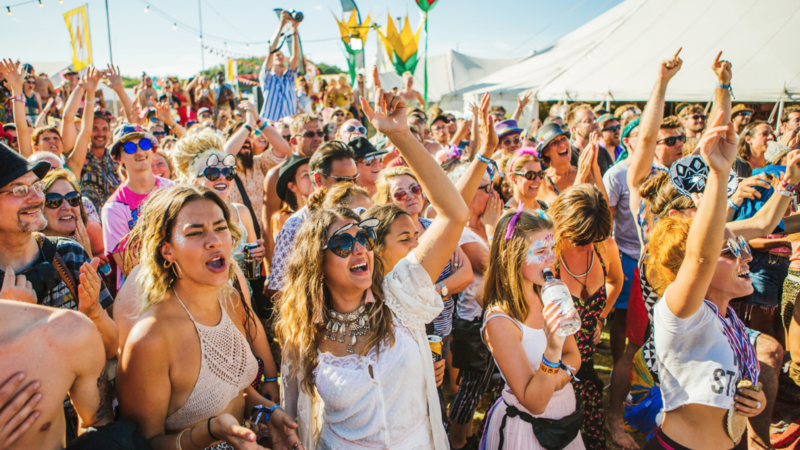 Your feedback is what keeps us able to improve our Adventures In Utopia each year – it’s your festival after all! Every year ‘sense of community’ is voted the no.1 reason you come along. This is hands down our favourite thing about Shambala too and it’s something we’ll always nurture. It’s you lot, both public and crew, that bring the sense of community and endless creativity – so thank you, and don’t ever go changing. The second most popular reason for coming was, as in previous years, the lack of corporate influence. The festival industry has changed a lot in the 17 years we have been doing this, and it’s very unusual for a festival of our age and size, to remain 100% free of any corporate influence or brand sponsorship, advertising or scary shareholders. Yes, it might mean our budgets are a lot tighter – but if that’s the price we pay to keep Shambala independent, we’re happy with that. Shambala is still completely owned by the group of friends that started it all, back in a record store in Birmingham, and that’s something we’re proud of – so it’s lovely to hear that you lot both notice and appreciate this. We’re comparatively small and we love it – apparently you lot do too. This year, 84% of you felt the capacity was ‘just right’. A very small percentage of you seemed to believe we had upped the capacity a little this year – to clarify, Shambala has not grown in audience numbers at all over the past 5 years. We agree that our size is one of the things that makes Shambala special, and whilst you fine people continue to support us, to bring the sense of community, create spontaneous entertainment to run alongside what’s programmed and to keep costs down by looking after our beautiful site and keeping it clean, together we can all keep our festival small, yet perfectly formed. As you’ve no doubt noticed by now, you won’t find many huge mainstream acts on our stages – instead, we try to put together a musical line up that perfectly compliments the vibe, atmosphere and rhythm of your weekend. We see it as an annual exploration of where the music scene is at, but equally importantly, an exploration of where it all comes from. With this in mind, it’s always amazing for us to hear that you love discovering new sounds and musical gems as you bimble around the site. Special mention goes to the amazing GRRRL who were voted the best live act of the festival! Last year, you guys requested more late night disco-vibes, so we gave you Botanical Disco, which was a huge success, being voted one of your top 3 venues in it’s very first year! It was so popular in fact, that it did get incredibly busy, late at night – leave it with us! Shout out to the Enchanted Woods for being voted your firm favourite venue. Again. Participation is always the name of the game at Shambala and 2017 was no different. Dance Workshops in particular got a huge amount of love from you this year – with honourable mentions also going to Womb With A View, Power Ballad Yoga, The Dance Off and The Carnival parade. Some of you felt there was not enough secret silliness this year – we’ve heard you loud and clear and we will be all over that like a heavy moss for 2018, but can’t elaborate any further for obvious reasons…! That sunshine was a bit of alright, wasn’t it?! However it did highlight a lack of shade in some spots around site as well as increased pressure on water points and showers, apologies to anybody who was affected by that at any point, we’re on it for next year. This year, we pledged to drastically improve our toilet provision, as the quality of loos in 2016 fell well short of what we wanted to provide. The work we did seemed to pay off, with 83% of you rating the toilets ‘Good’ or ‘Excellent’. This campaign is our latest step in our quest to rid Shambala of disposables. The first year of implementing a new initiative like this will generally involve some teething problems, but we were very pleased to see that 85% of you rated your experience of the scheme as ‘Good’ or ‘Excellent’. We do appreciate that some of you now feel you have rather a lot to carry – maybe a Shambala utility belt isn’t such a daft idea! As ever though, thanks for getting on board and your enthusiasm and help – we’ll get our results on our recycling rates soon so will be able to see just how effective the campaign was in reducing disposable cup waste. It was great to hear that 65% of survey respondents had downloaded and used our brand new official app! This was very much a new venture for us, so thank you for being our guinea pigs. Overall the app went down well, with the majority of you rating it ‘Good’ or ‘Excellent’ – however this was very much the app in it’s first incarnation – we have big plans for next year, with regards to improving usability and adding new features so watch this space. This was our second year of being meat and fish free. After year one, we were blown away when 77% of you voted to keep Shambala a veggie paradise. This year, however, something amazing happened..
94% of you voted to keep Shambala meat and fish free. As a result, that’s way beyond our wildest imaginings! A huge, huge thank you to everyone who has been so supportive of this environmental initiative – yet more proof that purposeful hedonism is possible. 36% of you even stated that you intend to reduce your meat or fish intake post Shambala – which is amazing – we’d be very keen to hear how you get on. A lot of you have requested more fresh fruit and veg on site, as well as smoothies and salads – duly noted! Families have also requested more child-friendly food basics – we’ve heard you and we’ll work on this for 2018. Overall, 2017 was a real blinder of a year for Shambala – with many of you calling it your best ever! We’re inclined to agree; sunshine aside, the atmosphere, creativity, costumes and endless random acts of kindness we spotted around the site this year were something else – thank you once again for joining us and being a part of 2017’s adventures – we truly hope you’ll be back next year. Tickets for Shambala 2018 will go on sale later this month – sign up to our newsletter HERE (if you haven’t already) to ensure you’re first to know! £3,600 raised for Flags In Place of War! £85,616 raised for charity this year!